Shape the CMS according to the client's needs. 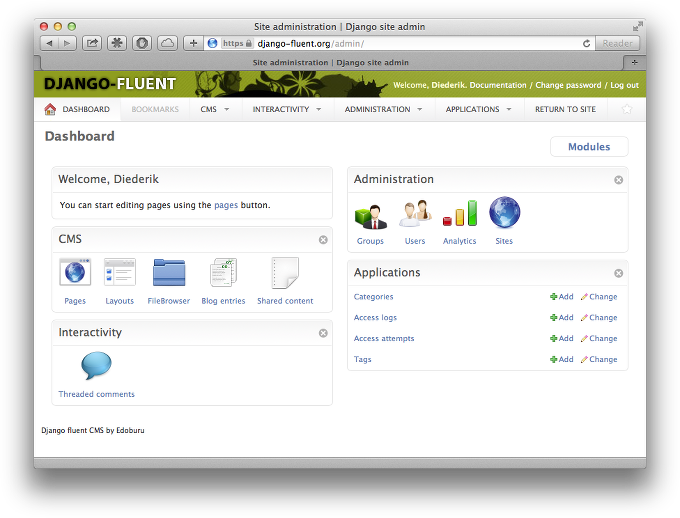 The dashboard module with custom admin skin. 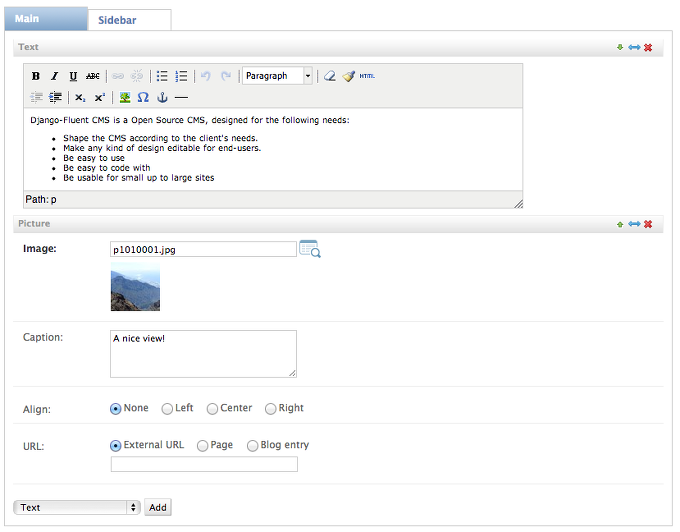 The content area, with text and picture plugin.